Romeo Pella Windows | Romeo Pella Window Replacement | Romeo Pella Wood Windows | Romeo Pella Fiberglass Windows | Romeo PellaMcGlinch & Sons CO.
McGlinch and Sons Home Improvements has been serving the Detroit metro area and southern Michigan for four generations. Our family owned and operated business provides the best quality exterior home construction, and offers incredible products including Pella Windows, Velux Skylights, James Hardie Siding and Boulder Creek Stone as well as roofing, doors, gutters and decks for every home improvement project. In addition, McGlinch and Sons is absolutely dedicated to customer satisfaction. Our goal is provide you with a personal and professional experience and ensure that you get the best products for your home. If you’re looking to update your windows, consider Pella Window Replacement. 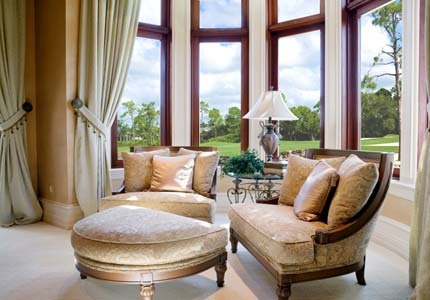 The energy efficient Pella Wood Windows and Pella Fiberglass Windows are superior in both durability and design. We are a Pella Certified Contractor and we’re confident that you’ll be impressed by both our expert installation and exemplary customer service. McGlinch and Sons also has certifications in gutters and roofing, including the Master Elite certification from GAF, which places us among the top 2% in the business. For high quality products, a personal touch and experienced installers, visit McGlinch and Sons on our website. Romeo, Michigan is a village straight north of Detroit with a population of about 3,500. Established in the 1830s, Romeo is a historic village with modern infrastructure. It also has a beautiful downtown area, with original civil war era buildings. McGlinch and Sons Home Improvement serves all of southern Michigan, including Romeo, for any exterior home improvement projects. If you’re looking for a licensed, insured, manufacture certified contractor for roofing, skylights, siding, windows, doors, gutters, stone installation, or decks in Romeo, look no further than McGlinch and Sons. We carry and install Pella Windows that are both long-lasting and stylish. In fact, we have numerous styles of Pella Wood Windows and Pella Fiberglass Windows to choose from, including casement, double hung, awning, bay or bow, sliding, single hung, special shapes and specialty windows with unique beauty and function. We also offer gutters for any need from rain removal to gutter protection systems that keep leaves, sticks, pine needles and other debris from clogging the gutter. Furthermore, Romeo customers can be sure that our gutters are both strong and effective because we’re certified in gutters and leaf protection. So if you need an outstanding exterior home improvement contractor in Romeo, Michigan, you’ll find one with McGlinch and Sons. As a family owned and operated business, McGlinch and Sons Home Improvement is focused on providing the same expert customer service that we have since 1917. That’s why we regularly train our service and installation crews to collaborate with our clients to provide them with the ideal products for their home. In addition, we work hard to meet all of the requests you have for your home improvement project. For example, if you want unique and timeless windows that are also energy efficient, we highly recommend Pella Window Replacement. Pella windows are engineered to last and their stunning designs can transform any room. When it comes to choosing the highest quality windows for your home improvement project, Pella Wood Windows and Pella Fiberglass Windows are the clear choice. McGlinch and Sons offers a wide range of exterior home construction services, such as roofing, stone installation, deck design and installation, skylights, doors, gutters, siding and windows. Call us at (248) 987-6300 in Oakland, (586) 777-8912 on the east side, or (313) 278-2777 on the west side, and start planning a home improvement project that will not only be efficient and beautiful, but will also add value to your home.